When will be Juke Box Jury (UK) next episode air date? Is Juke Box Jury (UK) renewed or cancelled? Where to countdown Juke Box Jury (UK) air dates? Is Juke Box Jury (UK) worth watching? 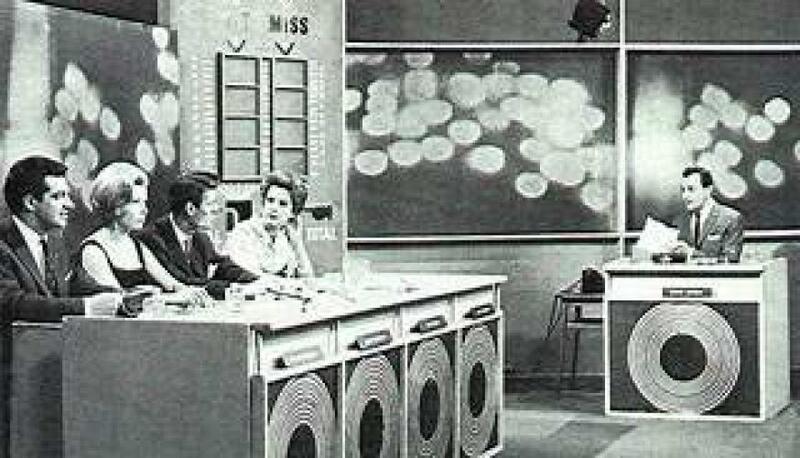 Host David Jacobs played a record and invited a celebrity panel of four to vote on whether the disc would be a hot or a miss. On one occasion all four Beatles appeared as the panel. The show has been revived twice, briefly in 1979 with Noel Edmonds as host and again during 1989-90 with Jools Holland playing videos instead of spinning records. EpisoDate.com is your TV show guide to Countdown Juke Box Jury (UK) Episode Air Dates and to stay in touch with Juke Box Jury (UK) next episode Air Date and your others favorite TV Shows. Add the shows you like to a "Watchlist" and let the site take it from there.